When I think of the south I think of Sara Norris, she is a true southern lady. A designer of children’s clothing that also speaks of the south with all its charm. The name of her patterns is Ruffle Bunnies isn’t that such a charming name? Her newest design is a baby bonnet, with elegant lace insertion. Her work has been featured in such magazines as Sew Beautiful. On her blog, you will find other examples of her excellent sewing skills. I know you will want to visit her here to see her creations. Sara has opened her home and her heart to members of Everything Sewing to hold retreats so members could meet each other and spend a week at her cabin. I am so blessed to be able to call Sara my friend. After looking at all the beautiful pillowcases made by my grandmother it made me miss the time spent doing hand embroidery. I don't want the hours of time my aunt spent in teaching me how to go to waste. I also want to renew my hand sewing skills so I can teach my granddaughter the love of spending time with needle and thread, maybe she is turn will teach her daughter and the skill will never die. Once I bought an embroidery machine I just didn't spend time creating by hand the things we love so much. so when I spotted these pillowcases I knew I had to buy them. The trim does not thrill me, I will crochet a new trim for them. This is as far as I have gotten for now. I will need to practice the dreaded fill stitch, have never been good at keeping my stitches even. Still a wonderful way to spend a winter day, sewing and enjoying a nice cup of tea. This morning she was a happy little dog playing in the yard. Tonight she is in the doggie hospital. The big mystery is why did she did so sick so fast. I have scoured the yard for anything she might have gotten into and have found nothing, not even bird feathers. Our other dog Joker is not ill and would have eaten anything out there before lulu could even have gotten to it plus, she is pretty picky about what she eats. About noon my hubby found her cuddled up under the sheets in our bed, again something she never does, she just has never cared about getting in or on the bed. So he set about shooing her out and saw that she was shaking. When I ran into the room to see what was going on, she had moved to the top of the bed but really didn’t want me to even touch her and by then she was drooling. I quickly called the vet and they said bring her right in. They knew it was going to take awhile so they said to just leave her. Thank goodness I have a wonderful Vet because he has called every hour to give me an update. This is one of her favorite places, she stands guard so we all stay safe. I love this fudge, good thing Java asked the question about fudge. Joshlin thought it a good idea to share the recipe so here it is. First I will tempt you with a picture. stir over medium heat until chocolate melts and sugar dissolves. Cook to 234 or until a little dropped in cold water forms a soft ball. Stir occasionally. Remove from heat. cool to lukewarm without stirring. Add—1 tsp vanilla beat until thick and no longer glossy. Quickly stir in nuts pour into buttered 8 or 9” square pan. When set cut in squares. Oops, who ate it all?? Oh well, it was very good. Stephanie L is our pick for friend of the week. Stephanie has been a loyal member of Everything Sewing since 2004 a great friend and support to us all. Stephanie used to sew and still dreams of doing it again. She isn’t able to get out and go to many places yet but keeps in touch with her sewing friends and joins in with a post almost daily. She and her family are having health issues and it is difficult for her. We send good wishes for a speedy recovery Stephanie. She is a very proud Grandma and is blessed with some that live close by and are able to visit and help her. It has been awhile since I have had time to link up, so here goes. Plain rich, fudge that is made from a fifty year old cookbook, the fudge is called Old Fashion fudge and it is yummy. When not in the mood to make fudge, making a trip to a little store called "The Alps" just outside the town of Levenworth is the next best thing. Not right now, we had piles of it but now only a few little piles are left and they are melting YA!! 3. Whats your favorite meal of the day? That would be dinner. I even like to light candles and make the meal special, so we can unwind from the day and talk to each other. 4. Do you text on your cell phone? No, I am old fashion and like to talk to people infact I like to talk a lot so not to many people pick up when I call. 5. Waffle or Pancakes? That would be pancakes at my favorite resturant Sunday morning. When sewing shorts, Capri's or pajama’s for kids the waist is often an elastic waist, with no visible front or back. That can be confusing for a child to be able to tell the front from the back when wearing the pants. What I do is mark the pieces when I cut them out so I also know the front from the back without having to measure again. Then when the pants are made up I sew a ribbon tag in the back. I was using labels but the kids said they were scratchy the little piece of ribbon doesn’t bother them. Another thing you can do is sew a button or bow to the front of the pants. Even though I do a fly on the boy shorts a button still looks nice. Some mail days are just better then others. I was so surprised to get a package in the mail from Australia. When I opened it the surprise turned to sheer joy. There, in all its beauty a smocked hanger from Lexie. Lexie does the most breath taking needlework and to have something she made is a honor. You have to look close at the top of the hanger and you will see tiny little beads. The hanger is way to pretty to put in a closet or even to hang clothes from, but will be used to show off any special sewing I do. Thank you so much Lexie. Is this not the most adorable set you have ever seen? Yes, it is sewn by Betty and shared with her permission. Betty, made this set for a friend’s little granddaughter, I would love to see his face when he opens the box to see this set. Love the fur buttons and the fur balls on the hat, a real labor of love. 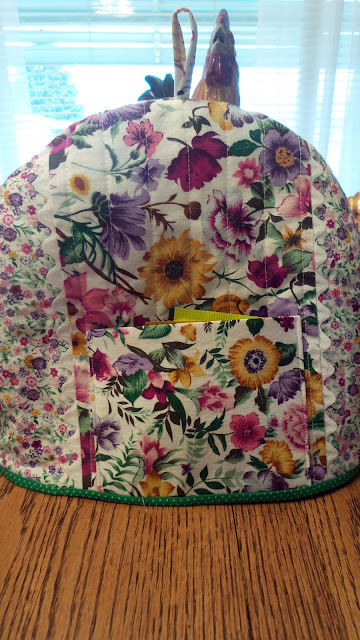 Enough fabric was left to make this little hat. She is not only my friend she is my sewing mentor, my go to person when I need help. I have spoken of Betty often and now it is time for you to meet her. She is an artist with needle and thread, I am sure there is nothing she can’t do when it comes to sewing. I have spoken of her often here and now I want you to meet her, she doesn’t have a blog but does share her advice and help with me on this blog. I will share some of her work with you today and over the coming weeks you will see so much more. This little dress is my favorite. Named Victorian Legacy, with delicate little billion roses and pin tucks on the bodice, repeated above the hem line. The back, with more tiny pin tucks. Smocked bishop dress again with bullion roses. Just a small sample of her work, you will see much more. Tomorrow I have another very special creation by Betty to share with you. When I was reorganizing the linen closet this morning I once again finger the pillowcases made by my Aunt and Grandmother. I have stacks of them and feel blessed to have them. They take me back to a time when it all seemed to be less rushed. My aunt always had some sort of needlework in her hand she crocheted, knitted, tatted, embroidered, sewed. She made all the clothes for me and my sister even all of our ballet costumes. Top all of this off with the fact she was also an excellent equestrian. I want to just share a couple of things I pulled out of the closet today. I will share more as time goes on. This is a well used dish towel. It has holes and stains proving it was used and I am sure enjoyed. It just made me smile. I wonder, was this a practice piece? How elegant the beds must have looked with their beautiful pillowcases on them. The crocheted edgings are so pretty, with such detail. Satin stitch is not easy for me, look how even those stitches are. It must have taken a very long time. Then to go on and crochet the edging, wonder if these were made for a special occasion maybe as a gift to someone. 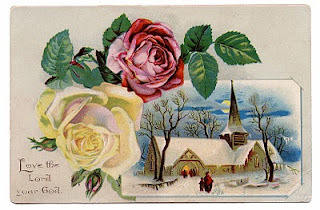 The stitch used here is cross stitch with a very simple edging, maybe these were everyday cases. Have we lost the skills to do this work? I want to share something a little different today. My son is a airbrush artist he paints on such things as cars, boats and other moving vehicles. Painting is not a talent that I have. I am always blown away by people that can work in the medium of paint and pencils. I think there is a saying about men and their toys. I am sure they enjoy them as much as we enjoy finding a beautiful painting or a new piece of furniture. Well not really a snow day as in not going to school. The kids here all dress warm and march off to school. They miss no days but that is fine with them they don’t have to make up missed days in the spring. To think I am sewing summer things! Would anyone want to join me for coffee on the patio? Maybe if I put up the umbrella it would be better. Poor little birds. I wonder how they keep warm, we do keep the feeders full for them. Yes, it is time to start the spring and summer wardrobes. Always seems so strange to me to be sewing shorts and tops while the snow is gently falling outside my sewing room window. This is how I start the planning. I like to start with a print fabric and see all the colors in the print. What will it go with? What trims will work? What pattern will make the fabric pop and complete the look I have in my mind of how I want the outfit to turn out. These are the questions I think about as I pull out the pieces and lay them on the cutting table. They might lay there for days and each time I pass by I see something that will work or a trim that just has to go, a what was I thinking moment. So here is a glimpse at how I start my projects. Some of these might work. What do you think? Maybe all of these will work to make mix and match. I will let this sit for a few days while I add and delete from the pile. My goal is to share with you some of my favorite places. I will choose one each week that I enjoy. This week is a new to me blog but has become very important to me. This lady walks in faith, in fact her post today was one about faith, something I so need to work on. Her blog is called mama bee's place, hope I wrote that right. In the short time I have been following her she has taken me down memory lane for some wonderful memories of the past. She seems to come right through the computer as if she is here with me, it's as if we have known each other for years, even though I do not know her other then from her blog. 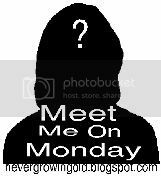 I hope you will take a little time to visit her, I am sure you will also end up looking forward to her post each day like meeting up for breakfast prayer to set your day on the right track. Always a fun and inspirational time to meet friends for a time of sewing and sharing together. We meet at the quilt shop and try very hard to stay focused and not be drawn into the beauty of the quilts that surround us. Our project for now is making smocked pillowcase dresses. Yes, I am sure we will be able to do this project. There seems to be some doubt on some faces here. Can you see on the walls the distractions facing us? Cassandra also wondering what she got herself into. You can see even more distractions, one of these days maybe I will try a quilt. Roberta discovers store purchased pillowcases are not sewn on grain. She has a problem! After two hours of fun and being totally confused, we decided it was time to head home and re-think the project. This basic machine was purchased in a hurry after my 25yr.old Elna decided to up and quit. It didn’t just stop sewing nicely it let out a huge bang right in the middle of a seam. I had several projects lined up that needed to be finished there was no time to research new machines. I bought a it will work machine, this little Bernette. Since I bought the machine from a dealer six 3 hour classes were offered. I never pass up sewing lessons as I know I will learn something so even though the machine was very basic I signed up for the classes. I learned so much, that little machine can do wonders. Deciding the Bernette would be a good machine for Zoe and still needing a machine I purchased the Viking after much research. again lessons were offered I was really excited after learning so much with the basic machine, just imagine what I will learn now. That didn’t end up to be the case, just one two hour class was offered and we basically sat and went through the manual. So I am still teaching myself what the machine will do. I am very pleased with it but sad I didn’t get to play more with it in a class setting. Are you learning to use a new machine? Set aside your own sewing lessons by setting aside two hours at least once a week. Schedule this in on your calendar and pretend you are not home do not let anything distract you. This is your lesson time. Take out your manual and go page by page, saving the samples to your notebook. If you come across something that has you stumped, just ask and I will go through it with you. Getting started-What's holding you back? Watching Zoe starting her sewing adventure, I realized how few items you need, (really need) to get started. I, like some of you have been sewing for many years and have acquired ton’s of stuff. Lets call it a collection, yes all this ‘stuff’ does make sewing easier and quicker but can I sew without it?. Storage drawers full of patterns, cabinets stuffed with fabric, the list could go on and on. You overtime will also acquire ‘stuff’ as your obsession grows. For now the idea is for you to start, so don’t think you need to wait until you have all the tools. Just gather the few tools you need and dive it. 1-scissors-makes the job of cutting very easy. 2-Pins-I use quilt pins (not on fine fabric) most of the time. They don’t get lost as easily and you have a less likely chance of sewing over them. 3-Fabric-so you have a reason to use your scissors. 4-Sewing machine, no need for a fancy machine just a good basic sewing machine. 5-Thread-basic thread will do to begin with. You can collect specialty thread later. 6- A seam ripper (very important) Zoe calls it her best friend. Measuring tape and anything thing you might need to finish your project. When my babies were little and the budget for clothes very tight, I had to sew. I sewed all their clothes using just the basic supplies. Patterns sold for 50 cents apiece yet I could only afford the basics patterns that I used over and over. My first sewing machine was a tredle a gift from a friend. You can only imagine how thrilled I was to get a real electric sewing machine and it was very basic it did have that fancy zig zag stitch though. So if you want to sew or need to sew, let this be the year you started. I have loved getting to know you all a little better and find as lovers of all things creative we have a lot in common. 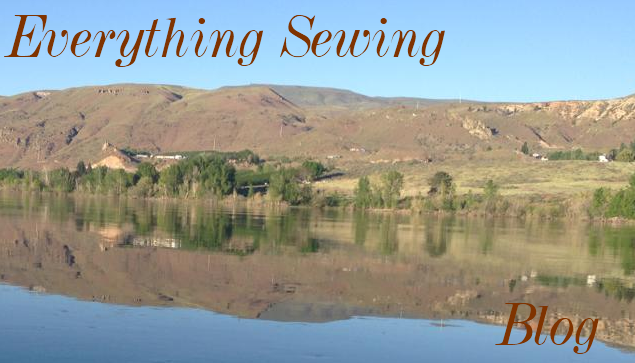 For even more thoughts on the subject, visit Everthingsewing forum. I still need to post my answer's there too. 1. What really pushes my creative button is being able to create a one of a kind, just special for you garment. The grand kids will be going to Disney and the thought of making their wardrobe for the trip is very exciting. 2. I am so limited where I live that buying on line is what I do the most of. I do know most of the people that I buy from and trust them to sell me something nice. Although Fabric.com gets a lot of my business. 3. I sew in the basement. I have taken over half of the family room so I do have my own space. 4. In this coming year I hope to learn more about machine embroidery. 5. The machine I have been thinking of adding is a cover stitch machine. I love sewing knits so I think I will get a lot of use from it. Not to be mixed up with sewing--I have already purchased a new stove. I have a few questions for you. Hope you have time to answer. I have my answer's ready but I really want to see your's first. What is it about sewing that really pushes your creative button? Do you buy fabric on line or do you prefer to see and feel the fabric? Where do you sew? Do you have your own sewing space? In this coming year, what new skill do you want to learn? doesn't need to be a sewing skill. Do you have plans to add a new sewing machine to your collection?